Chocolate butter mochi on any day is AWESOME. On valentine’s day, its a nice twist from the other chocolate treats. Actually, that last sentence is not entirely accurate. If you haven’t lived in Hawaii, then you’ll find this recipe unique. If you have, you’ll categorize this as a comfort food. For me, a bite of this buttery dessert immediately elicits memories of warm weather and family gatherings. Unlike its brownie counterpart, chocolate butter mochi is mildly sweet and made with Mochiko, a glutinous sweet rice flour. 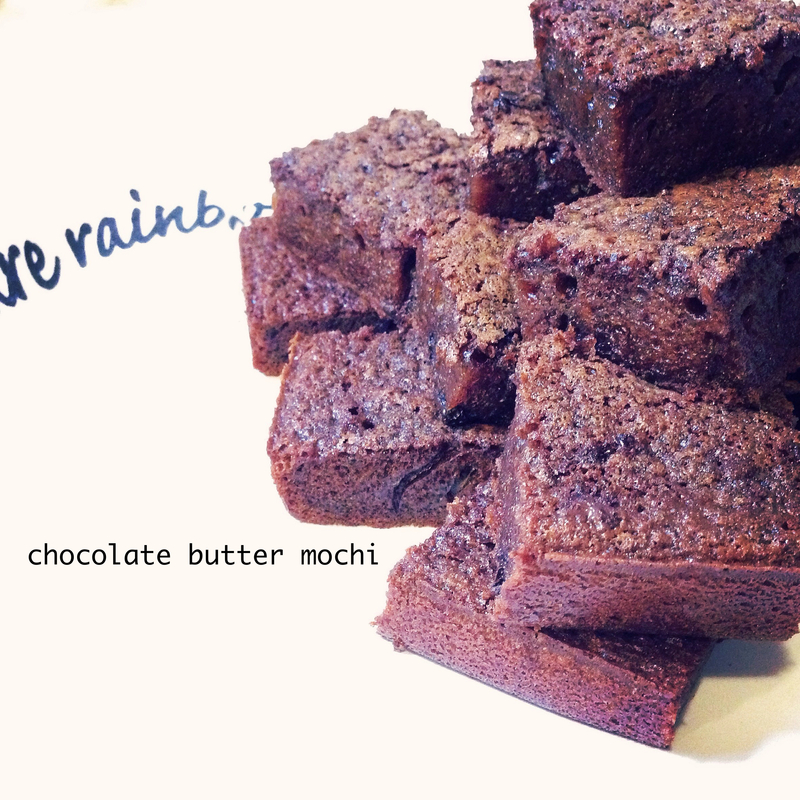 Baking with Mochiko yields a dense, soft, and chewy texture–very different from the cakey texture inherent in brownies. Yet like brownies, this dessert is rich, addicting, and utterly delicious. Prepare dry mixture. Preheat oven to 350 degrees. Combine mochiko, sugar, baking soda, cocoa, and salt in a medium bowl. 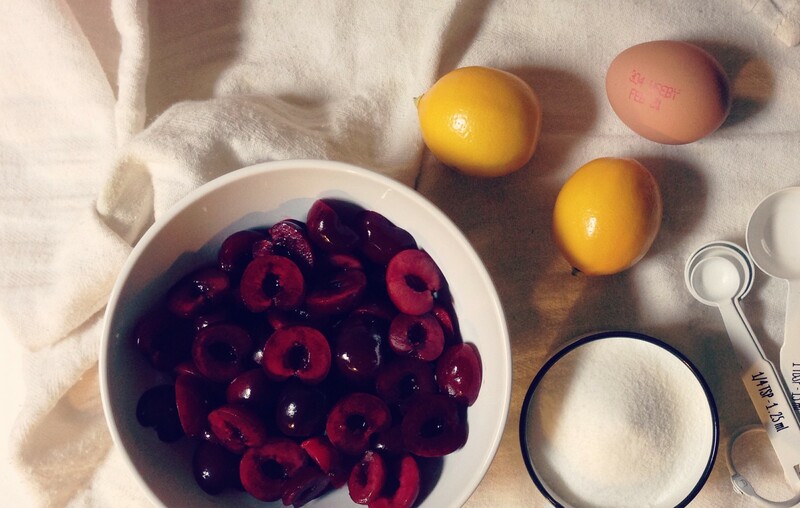 Prepare the wet ingredients. In another bowl, whisk eggs, evaporated milk, coconut milk, melted butter, and vanilla. Combine. Pour wet mixture into dry mixture, mix until batter is smooth. Gently fold in chocolate chips. Bake. Pour batter into a greased 9×13 inch pan. Bake for 1 hour + 10 minutes. Cool completely. Cut into squares with a plastic knife. *Using a plastic knife is the best way to cut mochi. Mochi is sticky and is less likely to stick to the plastic. Thank you! It’s veeeerrrry delicious and naturally gluten free! If you make it, let me know how it turns out and if you like the ‘chewy’ texture. Happy baking!! !